Game challenge with prizes. We all know that many people in the big city are eager to show their achievements. Honor 8 and Time Out invited participants to demonstrate their ability to hold attention. The essence of the game was to hold the space bar on the keyboard and at the same time answer the questions which appeared on the smartphone screen. 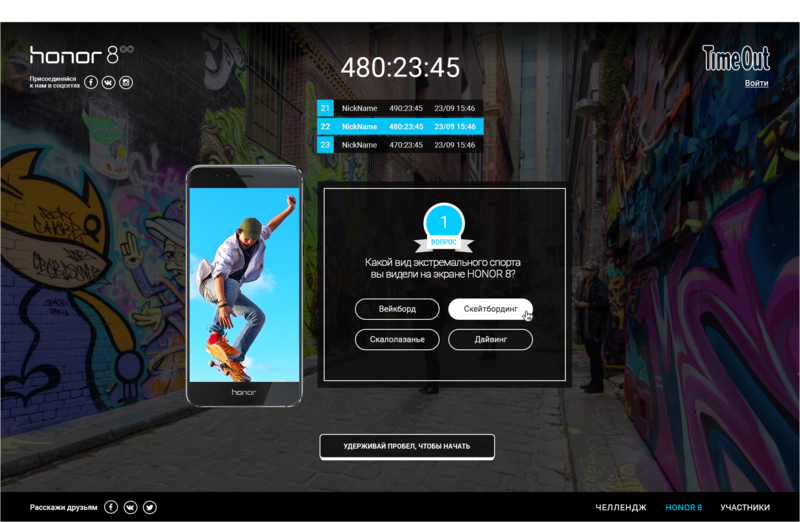 The winners were determined by the number of minutes spent in the game. 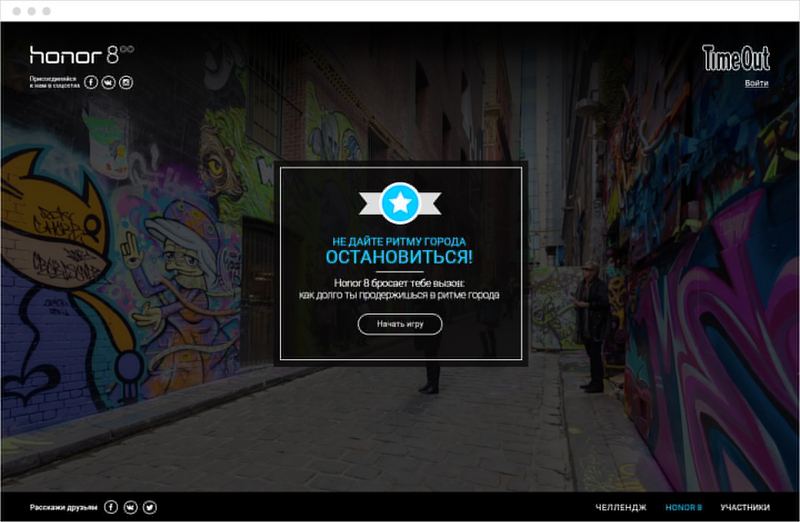 The main screen which invites users to start the game, after which they have to register/login. The main screen which invites to start the game. Then the user has to authorize. The game screen. 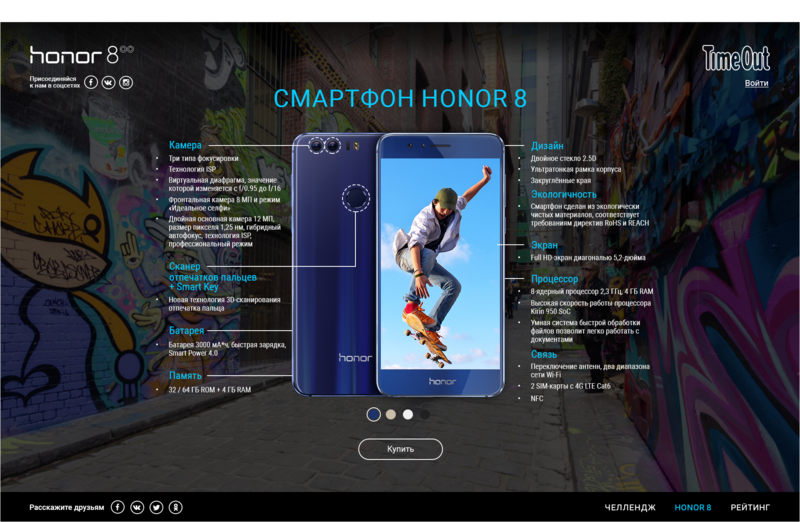 In the design of the site corporate colors and images of the Honor 8 were used. The characteristics of the product were drawn on a separate screen with external elements and description to provide a visual perceptibility.